O’Hare is the main gate to the business powerhouse that is Chicago. One of the country’s busiest airports has nearly eighty million passengers per year and seven runways with eight being built. A study from a few years ago claimed O’Hare is America’s most stressful airport, mostly because of the long distance between gates and terminals making already tired travelers completely exhausted. Now imagine having to chase after a cab or waiting for an overcrowded shuttle after all that walking which is usually the case in such busy airports. 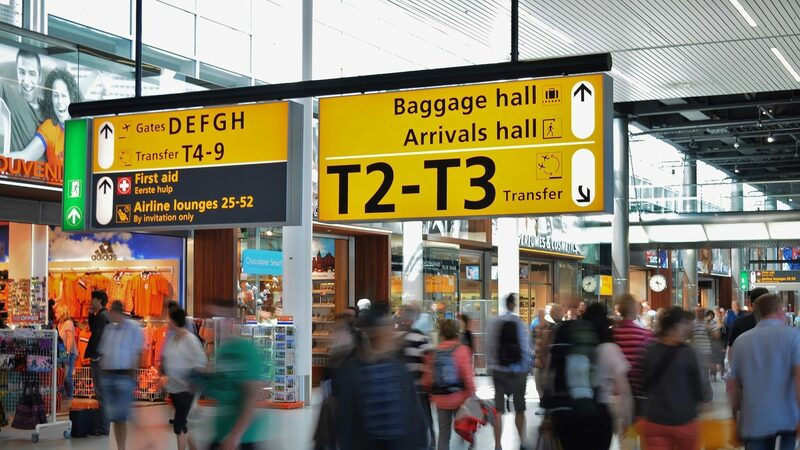 If you don’t want all that hassle, you can just book an airport car service and make sure a car is waiting for you right after you claim your luggage. Our chauffeur will be holding a sign with your name and assist you with bags as soon as you meet him. We have dedicated staff working around the clock to make sure that our car service is always at the airport on time and that you are getting the service of the highest quality. O’Hare can be a point of arrival or departure for individuals and businesspeople alike. No matter if you are going home, to an office, visiting your cousin or staying in a hotel - the probability is you could use transportation to and from O’Hare airport. You can book our limousine for yourself, your family, a friend or an important business guest and we will be there on time to pick them up. We will treat them with the utmost respect and courtesy, so you can relax knowing that they are getting a top-notch service. Our fleet includes best in class vehicles and models like sedans, SUVs, luxury vans and stretch limos with black high-quality leather-covered seats, air conditioning and other amenities. Chicago is the headquarters of such big companies like Boeing and McDonalds, so it should come as no surprise that business travel is equally if not more important than pure leisure and tourist travel. You can book our O’Hare car service to take you to your office, conference or a hotel or hire us for an entire day full of meetings. We have perfected our roadshow car service and we can help you follow any schedule, no matter how complicated it may be. Our comfortable luxurious cars will help you relax and the privacy, peace and quiet that we provide will help you focus on your work. We provide transportation for your executives, clients and managers, as well as groups of employees on their way to a conference, presentation or a team building. Our service is so impressive that it presents your company in the best manner and makes your partners and employees feel appreciated. Our O’Hare car service may be the most valuable to those living in and traveling to Chicago suburbs where other airport transportation doesn’t always want to go. Those living in Aurora, Joliet and Naperville, just to name a few, don’t always have that many options when it comes to transportation, especially during the night. This is where our O’Hare limo service comes to the rescue ensuring that you always have safe, reliable and high-quality transportation no matter if your plane is taking off or landing at 3 pm or 3 am. Even those living and traveling to Milwaukee and Indianapolis can count on us when it comes to our Chicago car service. If you want to book our O’Hare car service, all you have to do is click the Book Now button on our homepage and fill out the form.